ESET Version 10 release is drawing closer and with some fantastic new security updates, we break down what they are, how they can defend your device and why it’s important to stay protected. Mark James, ESET IT Security Specialist, informs us about ESET Secure Data. ESET Version 10 launch is on the cusp of release and we are giving you a sneak-peek into what it will include. With our IT Professionals and Researchers working hard to make sure they are at the forefront of security and one step ahead of potential hackers, we are adding essential extra layers of protection. Alongside improved performance and our award-winning virus detection rates we are introducing five new features in Version 10: Script-Based Attack Protection, Webcam Protection, Home Network Protection, ESET Secure Data and ESET Password Manager. ESET IT Security Specialist, Mark James, informs and educates us on what Secure Data means and why it is important to protect your device. What is ESET Secure Data? ESET Secure Data brings a traditionally more business focused feature, encryption, to our home user products. With Secure Data you will be able to encrypt your USB drives and ZIP archive files to keep the data within safe and secure. Encryption is a process whereby you make data, for example a document or important financial statement, unreadable unless you have the correct ‘key’. Your key will be stored locally and password protected, generally speaking. Encrypting your USB drives and memory sticks will ensure that if they are lost or stolen the data contained cannot be accessed. Also prevent unauthorised access to ZIP archive files containing your most important documents, such as financial or personal information. Why is it important to protect your device? 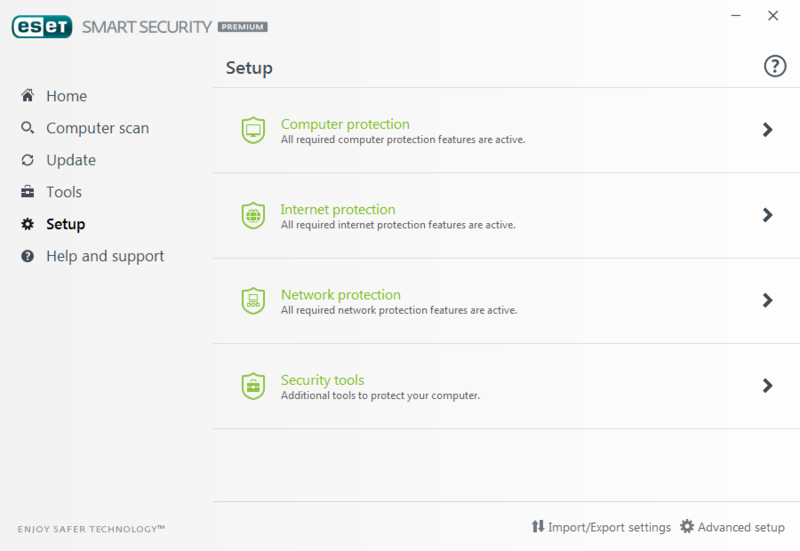 ESET Secure Data is activated via the ESET Smart Security Premium home screen. Next you select the USB drive/ZIP file you want to encrypt and follow a simple step-by-step guide, choosing your password is part of this process. ESET Secure Data is only available with our top-tier product, ESET Smart Security Premium. Older Yahoo! : Could it be the biggest data breach in internet history? Newer Android: Are you secure?